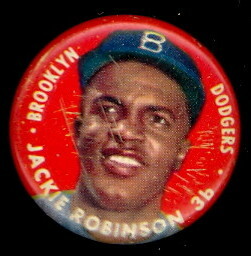 We're starting to build an inventory of 1956 Topps Pins. The Set includes 60 different Players, with three more scarce than others: Chuck Stobbs, Hector Lopez and Chuck Diering. 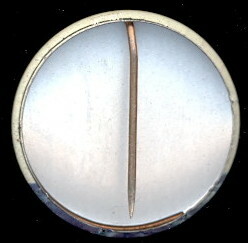 They measure 1-1/8" in diameter. 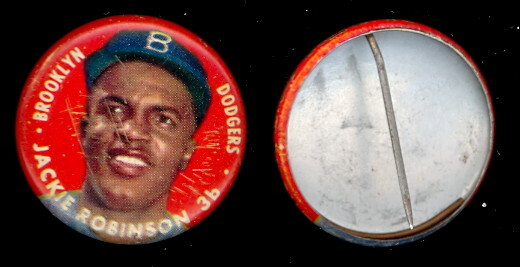 The front of each pin has a solid color background with the Players picture (same as on the 1956 card), position and Team. These Pins were sold in a box with a piece of bubblegum for five cents.